By using our Amazon Affiliate link (especially during the impending synchronized gifting season) you can contribute to HacDC every time you order from Amazon.com. This will set a cookie that will persist for 24 hours or until you use another organization’s affiliate link. EDIT 4/10/15: Updated Chrome plugin URL. Added information for Amazon Smile. HacDC: Blabber is our public mailing list. Signup here. We're an official non-profit. Make a donation! Use our Amazon.com affiliate code when you shop there. This post explains how. The S1, S2, S4, H1, H2, H3, and H4 buses stop in front of our location. Approach on the 16th St side of the building. Look for the red doors. We are on the third floor. Follow the signs to our space after signing in with the guard. Before visiting unannounced, call to see if anyone is at the space. HacDC Website by HacDC is licensed under a Creative Commons Attribution-ShareAlike 4.0 International License. 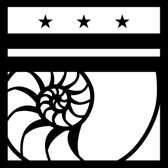 Permissions beyond the scope of this license may be available at http://www.hacdc.org/contact/.